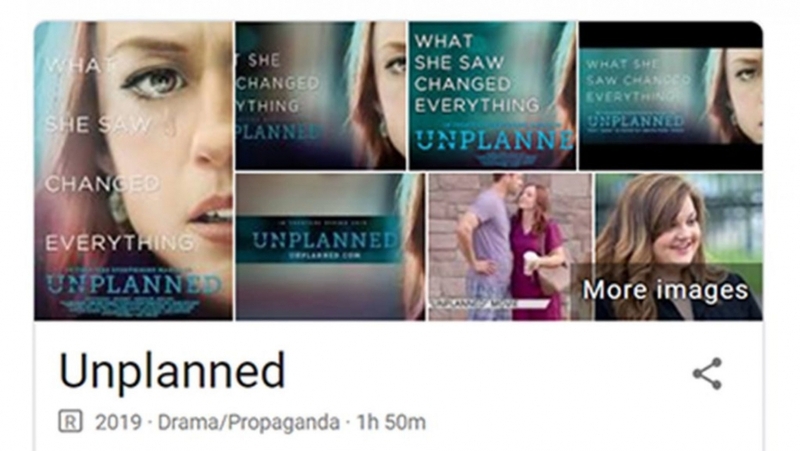 Is anybody surprised at the news that Google labeled the movie Unplanned “Propaganda”? Or that none of Michael Moore’s polemical movies got that label? This kind of social media bias is so familiar now, that it’s tempting to yawn it off. Of course the main means of communication in America are completely controlled by the left. No, they’re not subject to the First Amendment or even libel law. Yes, that’s because of an absurd legal loophole that Republicans don’t seem interested in fixing. No, it isn’t fair. And yes, it’s incredibly ominous. But really, what else is new? Instead of banging our heads against that wall, let’s step back and do some useful thinking. We all know that there are gradations of “objectivity.” We don’t expect a preacher on Sunday to display the same detachment when speaking of scripture as we do from a scholar whose job is comparing ancient manuscripts. One will have more of an open and entirely expected persuasive agenda. And rightly so, since his job is saving souls. Readers of The Stream don’t expect and wouldn’t welcome the same detached approach to religion or the life issue as they would from Fox News. I can’t mention any of the other networks. Their figleaf of objectivity has long ago flown away. Their language and coverage is broadly and deeply biased, right down to the language they use. I wrote here about the bias built in to the very reporting of a news story on abortion law in The Washington Post. The problem comes when publications or platforms pretend to neutrality and objectivity, then instead practice persuasion. That’s the issue with the Mainstream Media. Their whole prestige is built on the claim of honest objectivity. Likewise with social media. Facebook and Twitter only avoid the rigors of libel and defamation law through their claim to offer merely “neutral platforms.” Which of course, they don’t. The more they edit content to suit their political viewpoints, the more they serve as publishers, who ought to be subject to lawsuits from the likes of Nick Sandmann. You know, the boy at the center of the Covington Catholic frame-up, whose parents are suing the pants off CNN and The Washington Post. There’s nothing wrong with persuasion, per se. We all know that. We aren’t robots, or even Vulcans like Star Trek’s Mister Spock. So we expect persuasion to be part of most discourse, including that of works of art. But we don’t want it taken to extremes. We don’t want even people with whom we agree to lie to us, or overtly manipulate our sentiments. We want to be moved, not molded, and the line between them can often be a fine one. Sometimes it’s just a matter of subtlety and skill. The anti-Nazi masterpiece Casablanca took a clear political viewpoint. 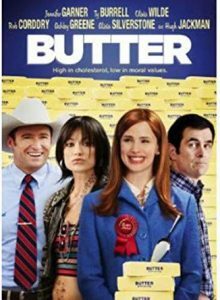 So did the ham-handed and joyless 2011 “comedy” Butter, which mocked conservative Christians. 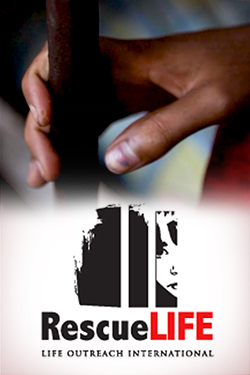 The first film we remember because it moved us, and pointed up moral, political truths through a powerful story. The second film we forget because it created hateful straw men, then cruelly tore them to pieces. Casablanca we think of as art. Butter we remember, if at all, as crude propaganda. We can learn something from the history of that term itself. Some words start off life innocent. But they get misused in practice, or willfully hijacked by cynics. Think of “rhetoric.” It’s the craft of persuasion. Aristotle thought it important enough to devote a whole book to it, as did many noble Roman thinkers. Schools required it as a subject right up through the 1950s. That made students analyze the speeches of men like Cicero, Washington, Lincoln, and even Jesus! Its goal was noted by conservative scholar Richard Weaver: rhetoric is the craft of taking the Truth and teaching busy, ordinary people why they should care about it. And what they should do about it. For instance, at Valley Forge, George Washington didn’t stand up and give a little class in political philosophy. Instead, he touched the heartstrings, appealed to the honor and stirred the souls of his beaten-down soldiers. So Jesus did with His parables. That’s rhetoric at its best. But politicians in the 20th century so abused rhetoric, that now we think of it as empty words, deflection, almost the opposite of the truth. Something similar happened to another word: “Propaganda.” It started out not just innocent, but admirable. In 1622, the Catholic Church established the Congregatio de Propaganda Fide, which meant “Commission for the Propagation of the Faith.” It sent out heroic missionaries to work in hostile environments — from the palaces of Japan to the woods of North America — to risk horrible martyrdom. Their mission? To tell the truth, exactly as they believed it, whether or not anyone wanted to hear it. Not to shade it or mask it. To learn local languages, yes. Master the native philosophies and bridge cultural chasms. But always to preach precisely the same gospel they themselves had learned as children. Thousands of them died horribly in the effort. How differently we see the word now! That’s because in World War I, both sides applied it to their efforts to demonize the enemy. Both the Entente and the Central Powers played fast and loose with the truth. They invented every atrocity, no matter how false, to whip up the folks back home to support the war effort. The outright falsehoods invented against the Germans — remember this was World War I, not II — emerged after the war, and gave the word a negative connotation in English. The founders of the Nazi party saw the sheer annihilating power of mass persuasion. All the better if it could fly without any necessary tether to the truth. The bigger and bolder the lie, the better — since people will falsely assume that no one would have the nerve to falsify on a really grand scale. The Soviets also pioneered in propaganda, sending artists and entertainers all around the country to mock belief in God, and show both Christianity and Judaism as corrupt, fraudulent tools of the capitalist oppressor. The two totalitarian movements — International and National socialism — learned from each other, and and stole each other’s methods. Historians note that Hitler’s “Night of the Long Knives” deeply impressed Josef Stalin, who shortly thereafter launched his own series of purge trials. Hitler saw that the Stalin’s genocidal attacks on ethnic minorities went virtually unnoticed, and lost him no supporters in the West. That, and the example of the Turkish Armenian Genocide, inspired Hitler’s Final Solution aimed at Jews. Lenin’s seizure of private handguns was repeated by the Nazis, once they took power. And so on. Both regimes used new techniques of propaganda, now redefined decisively as “the manipulation of the masses,” ranging from mass rallies to heavy-handed, but stirring cinema. Gifted filmmakers like Sergei Eisenstein served up agitprop for Stalin, while Leni Riefenstahl lionized Hitler in brilliant, idolatrous movies like The Triumph of the Will. Josef Goebbels, a failed playwright and would-be intellectual, took the helm of what the Nazi regime openly called its Propaganda Ministry. In the wake of World War II, efforts to manipulate public opinion have always gone by other names. But public relations, advertising, political consulting, and other fields continued to use methods we can classify as propaganda, wherever they deliberately obscure the truth and play on people’s emotions against their reason. And that’s really the distinction between honest rhetoric and propaganda, between Washington at Valley Forge and Hitler at Nuremberg. In Washington’s case, he sought to harness the force of men’s emotions to causes and values which their reason had already weighed, and accepted. Any good preacher in a church makes such appeals, as Jesus did. So does a good and truthful work of art, like Unplanned. Those only look like propaganda to people who have shut their minds against the truth they tell.